This is a quick and easy steak recipe that I love! I’m always so busy and don’t always have the time to make elaborate meals, but this dish never fails to turn out delicious and satisfying. Preheat oven to 425. Line glass baking dish with foil. 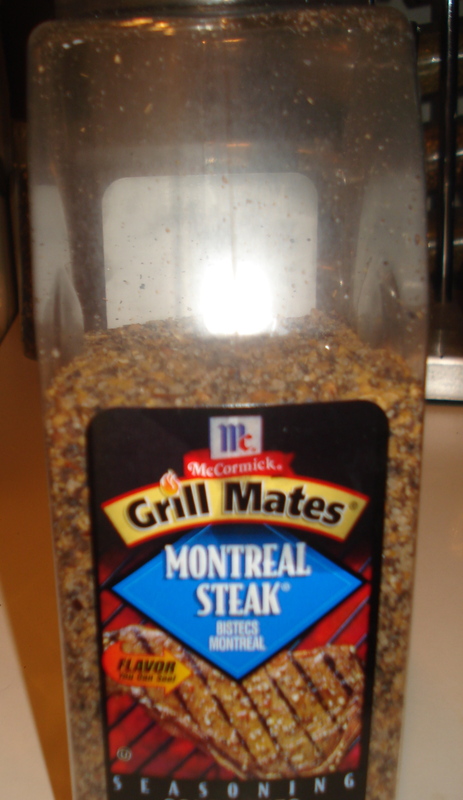 Marinate steaks well with seasoning of your choice and place in baking dish. Chop onions and green peppers in to large chunks, toss in salt, pepper, and olive oil. 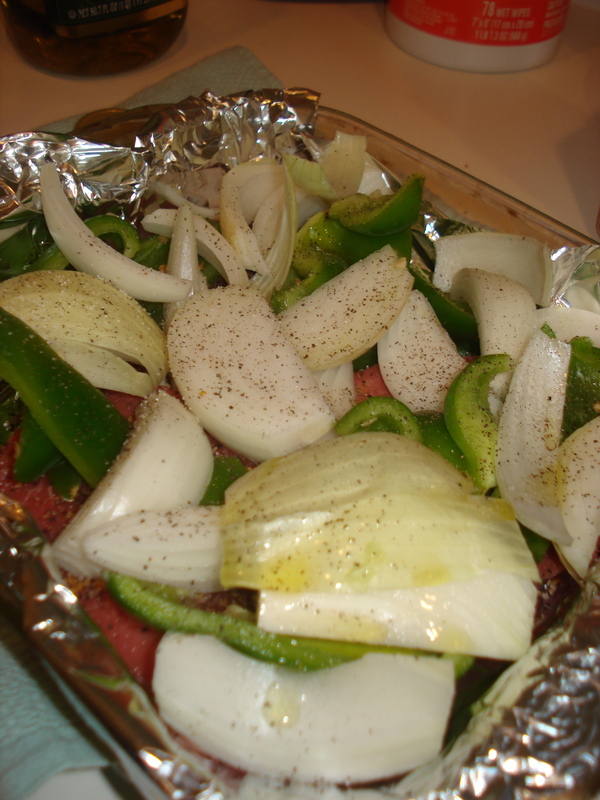 Cover steaks with onion and green pepper mixture . 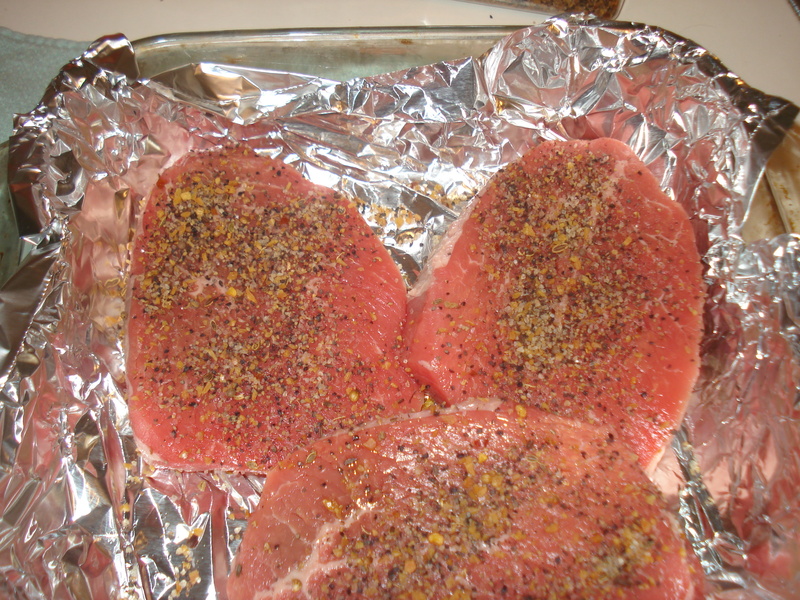 Cover with foil and bake on 425 for 30 minutes, or until steaks are cooked to your liking.